As throughout much of its history, Britain at the end of the Napoleonic Wars was an unforgiving and brutal place for ordinary people trying to make a living. Quite a number chose to emigrate to the New World, to find a better life. The life they found wasn’t always easy, it was often hard in the extreme, but their courage and fortitude often paid off, at least for their descendants. This is the story of one Matterdale man and his family who did just this: Wilfred Grisdale. 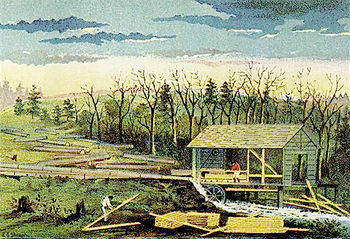 In the early nineteenth century much of Upper Canada was still a land of virgin forest and lakes. Of course there were natives Indians but in much of Ontario, for example, many of the forests had no settlements. When there was any path at all it was just, as early pioneer Charles Fothergill put it in 1817, “a windy way through the forest made by the Indians”. One small piece of this vast land became the Township of North Monaghan, which is situated in the southwest corner of what is now known as Peterborough County. Prior to 1817, few humans had set foot on the Township soil or gazed from the Otanabee river at its heavily forested shores. Although “a few tracks were testimony to the presence of Indian hunting parties in the past”. But in 1817 the surveyor Samuel Wilmot had already completed the first survey of the area, the land being divided into lots to which early settlers would stakes claims. One of the very first 11 settlers in North Monaghan was a certain Wilfred Grisdale. In 1817, he staked a claim to Lot 4 (East ½) of concession number twelve. Wilfred and his family are the founders of a veritable Grisdale dynasty in Canada and the United States. 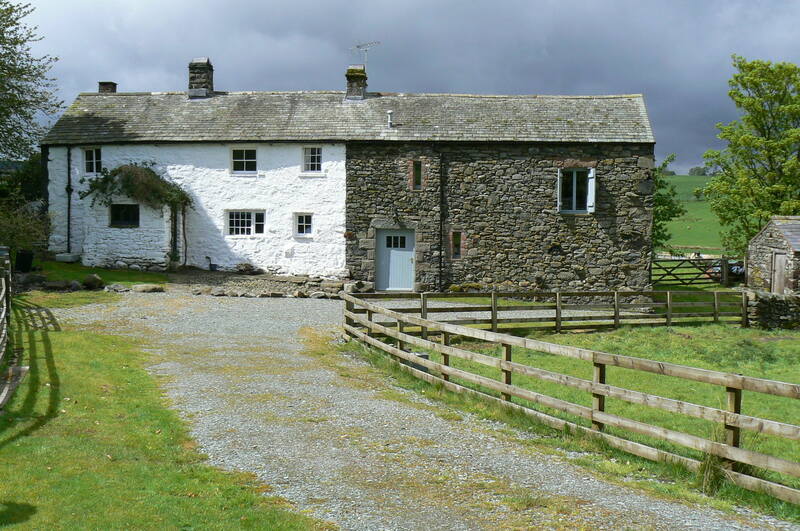 Wilfred Grisdale was born in Matterdale in Cumberland in 1782, probably at Jenny Hill Farm. He was the fourth child of the old blacksmith in Dockray, Matterdale: also called Wilfred Grisdale, and his second wife Ruth Slee. Wilfred Senior had been born in 1711 to Joseph Grisdale and Agnes Dockray. He had married Ann Brownrigg in 1733 but the couple had no children. But when Ann died in 1775, Wilfred wasted no time in marrying again. He married a young Ruth Slee (48 years his junior) in 1776, at the age of 65. But children soon followed, six in all: Gideon, Charlotte, Bilhah, Wilfred, Joseph and William. It is this second Wilfred that is the centre of this story. Wilfred was to marry Jane Bell in the village church of Hutton in the Forest near Carlisle, the Cumberland county town, on the 6th November 1803, aged 21. The family settled in Carlisle itself and seven children followed, all baptized in Saint Mary’s Church, Carlisle: Gideon (1804), Ann (1805), Wilfred (1807), Ruth (1809), James (1812), Jane (1810) and Joseph (1816). I wrote about Wilfred’s brother Gideon and his ballet dancer daughter in my last article. For parochial interest, his brother William was my 3rd great grandfather. In 1816, or in early 1817, Wilfred emigrated with his whole family to Canada to start a new life. We don’t know the precise reasons for the family’s decision or which ship they travelled on to the “New World”, but the Carlisle newspapers of the time were full of advertisements trying to attract people to move to North America offering the prospect of land grants and assistance with the passage. Perhaps Wilfred was attracted by one of these? Whatever the truth, Wilfred and his family arrived in North Monaghan in Upper Canada in 1817, perhaps following the route taken in 1825 by Peter Robinson who brought many Irish settlers to the area. Robinson had “sailed from Liverpool to New York and proceeded from thence to Toronto by way of Niagara”. Only later were more direct and less “roundabout” routes to Toronto available. The settlers from the “Old Country” came by boat as far as Cobourg. 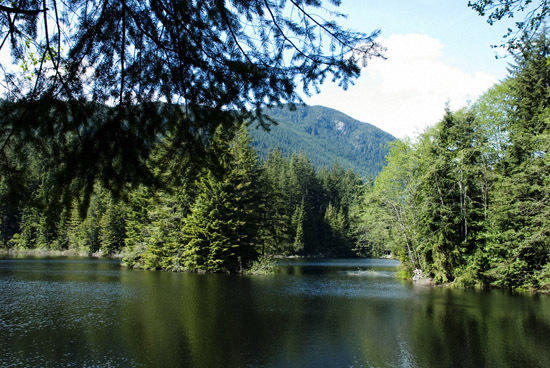 From there some found their way by ox cart to Rice Lake and then by smaller boats to spots along the Otanabee River. Others walked, carrying their possessions, north through the forest by way of Port Hope. By lot or by following the surveyors trails until a lot of land which pleased them was found. Taking note of the number and concession from the marked posts of the surveyors, they returned to Port Hope to make the required application to the land agent in order to secure their lot. During this expedition visit, one or more nights had to be spent in the forest. Where having kindled a fire, they lay down to sleep beneath the branches of a group of trees, wearied and fatigued, and worse, perhaps wet and torn with the mishaps of the journey. Wilfred had to stake his claim. “The first requisite to procure land in those days was to take an oath of allegiance, on which a certificate was issued as evidence of the fact.” Usually no payment was needed due to the unsettled nature of the area. Once he had staked his claim in North Monaghan in 1817, the hard work began for Wilfred and his wife and young family: clearing the forest, building a rude wooden hut or “shanty” before the onset of winter and trying to grow or procure enough to survive. The first settlers… encountered difficulties and privations of which we, in after time, can have but a faint conception. Unaccustomed as many of them were to the new scenes in which they found themselves placed; with scant provisions, and separated by long wastes of wood water from their fellow-kind, their situation, with their wives and little ones must have been at times appalling; and by less indomitable spirits, would have been relinquished in despair. During the first few years, great difficulties were often felt in procuring the necessary provisions with which to support life. These had to be brought all the way from Port Hope or Cobourg, in the most laborious manner, and in the total absence of even the most ordinary roads; the only guide being the “blaze” upon the trees through the interminable forest, in which they seems entombed. Under these circumstances, it is not to be wondered at that whole families were often for weeks without tasting bread, and that the herbs and succulent roots of the rich woods were often called into requisition to lengthen out their scanty fare. Gradually the blue smoke from the settler’s shanty, and the tiny opening in the forest, began to appear here and there, at intervals, often of miles between… But the number of shanty fires gradually grew larger, as giant trunk and tender sapling groaned and fell beneath the sturdy strokes of the settler’s axe, then the huge heaps appeared, rolled together by united effort. The flames crackled and roared. Far away into the gloom of the dark forest shot the gleam of the evening fires, which told that a conqueror had come, and that civilization and the luxuries of comfort and refinement were on the way to cheer and enliven these rude fastnesses of nature, and bid them smile with a new growth and a more prolific harvest. The first rude shanty gave way to a substantial and comfortable mansion. Flocks and herds increased; and as time progressed and the population grew, the rude wilderness became a comparative garden. Mercifully during the first hard years in Canada all of the Grisdale children survived. 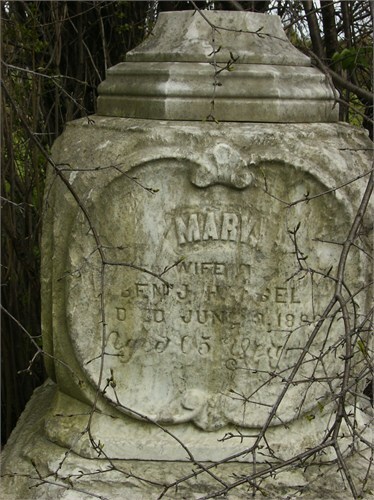 Wilfred and Jane even had one more child called Maria born in North Monaghan in about 1822 – the first Grisdale of this family to be born on North American soil. Well may the veteran pioneer pause now in the evening of his days and look around on the wonders wrought by time and industry. Proudly may he point to the spot where he first reclined beneath the spreading trees, wet with the morning dew, during that first visit to his future farm, and contrast the scene with the present, with its broad acres and cultivated fields, its neat farm houses and thriftly barns, which he expects soon to leave a rich heritage to his children. We don’t know when Wilfred and his wife Jane died but we do know that his children soon started to move to, and settle in, other parts of Ontario (Upper Canada) as well as across the border into Michigan. I won’t go into the marriages and children of Wilfred and Jane’s own children here because it would involve writing a book. For those who are interested, please refer to my own family tree on ancestry.com, mentioned in the “About” page of this blog. What, however, is clear is that there are alive today in Canada and the United States literally hundreds and probably thousands of Grisdales (and others) who owe their existence to the decision of Wilfred and his wife Jane to leave Cumberland, where the family had lived for centuries, and to make the hazardous voyage to Canada to start a new life. I hope some of Wilfred and Jane’s Canadian or American descendants will write some of the fascinating stories of their children. North Monaghan Historical Research Committee, 1990, A History and Story of North Monaghan Township 1817-1989. Thomas W. Poole M.D, Peterborough Review, Peterborough, 1867, A Sketch of The Early Settlement and Subsequent Progress of the Town of Peterborough and Each Township in the County of Peterborough. Thank you so very much for publishing your research! Wilfred and Jane were my 3rd great grandparents. I am descended from their son, Wilfred.